Well my first try on the MM. I had a hard time getting it to 550 and couldn't get it higher. 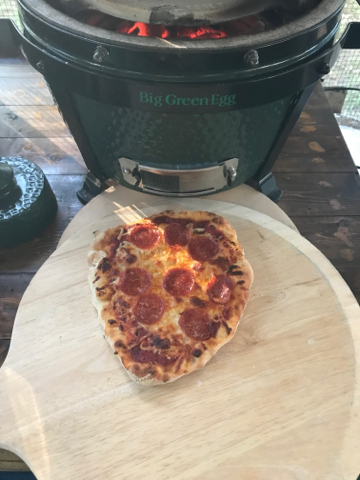 Pizza turned out okat but still want to try for 650 next time. 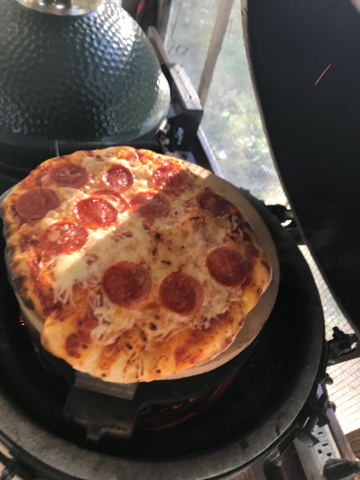 The Italian 00 flour is awesome for crust. You might be able to decrease the gap between your top stone and platesetter to increase your airflow. I'm using the riser blokes I got from CGS, they are lying on their side...I'm guessing 1". 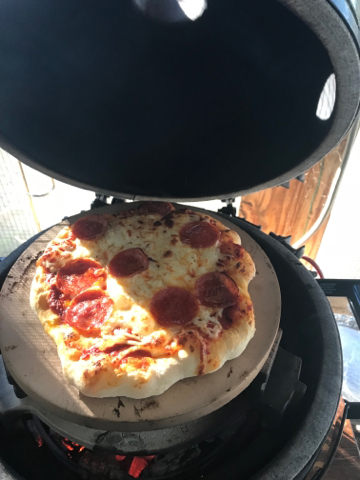 I’m still learning on the MM...I use the KAB, have the plate setter feet down and use the ceramic blocks under the pizza stone. My MM takes a long time getting up to temp compared to my medium and I think I just need to add more lump on cooks...learning curve. Raising the stone higher will only restrict air flow more.